If you have an unpublished novel set at least 35 years in the past, this competition is a brand new opportunity to share it with the world. In 2019 the HWA are teaming up with Sharpe Books to encourage and support writers of Historical Fiction, offering published and unpublished authors alike the chance to win £500 and the offer of a publishing contract with Sharpe Books. The prize is open to any complete manuscript between 40,000 and 100,000 words. So if you think you can transport our judges with matchless story-telling and a palpable sense of time and place, please send us your manuscript along with a synopsis of 500-1000 words, and let’s see if we can share it with the world. 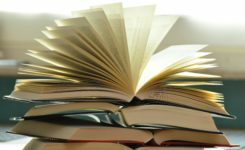 Novels in any genre are eligible – mystery, crime adventure, romance or literary – the only condition is that the majority of the story is set at least 35 years in the past. We can’t accept graphic novels or picture books at this time. The manuscripts will be judged anonymously by a team of industry professionals and writers appointed by the HWA and Sharpe Books. All entries must be in English, but we accept entries from outside the U.K.
After the close of the competition every entrant will be offered a consultation with the M.D. of Sharpe Books, Richard Foreman, via phone or email on how to find an agent and routes into mainstream publishing, or, if they wish, how to self-publish their work, and the companies which can support self-published authors. NB. We realise that many writers who might be interested in this competition may already have submitted their manuscript to agents or other publishers, or that they may wish to do so while the competition is running. That’s fine! If you find representation and your agent would like you to remove your novel from the competition, or if you are offered a publishing contract before the close of the competition, just let us know and we’ll remove your MS from consideration. If you can let us know before the 1 Jan 2020 that would be great. We won’t be able to refund your entrance fee after we have processed your entry, but you can still take advantage of the offer of a consultation with Richard Foreman, and we shall all raise a glass to your success. Once you have paid with the link below, please make sure you hit the ‘return to merchant’ link for final instructions on submitting your novel. Good luck! If you have any problems, you can email Imogen direct at chiar @ historicalwriters.org (just remove the spaces either side of the @ sign. Remember to take a note of your transaction number, then hit RETURN TO MERCHANT for details of how to submit. Submission of an entry is taken as acceptance of all the terms and conditions of entry. Please do take a moment to read them.